Hello everyone! As we prepare for the first EA release in a few months, I will be writing some extensive diaries and focusing on specific systems that are already in the game, so you have a better idea of exactly how they work. The first system that I am going to explore in detail is trade. We wrote a trade primer several months ago, so this is going to build on that and focus on more detail, including using internal error logs to help readers understand how the system is thinking when trades are considered! First, a short reminder of how the trade system works, macro-scale. There are 3 types of trade ‘hubs’: Empire, Province, and Secondary. Trade can only happen within these spheres of influence (SOI) that they generate- if a planet does not have at least a secondary hub, it can only receive goods, not create profit-generating trades of its own. If a system is not within any SOI, it can not receive any trades at all, just emergency goods shipments sent by a special Project from the Empire (at great cost, both materially and politically) Province spheres of influence are much larger than Secondary spheres, but any number of Secondary hubs can be built (one per system limit). The more merchants there are in a hub, and the more skilled they are, the more influence a hub can have. It is possible, though not likely that a planet with only a Secondary hub, but with many skilled merchants, can generate an SOI almost a large as a Province hub with fewer and less-skilled merchants. Contiguous SOIs create a Trade Group, from which any trade can take place as long as a system is within them. Empire Hubs can trade with any hub regardless of distance; Province Hubs can trade with any other Province Hub regardless of distance. You will be able to initiate Projects that increase a hub’s SOI permanently (this represents creating fueling stations in deep space, more docks, transfer stations between outlying systems, staff, etc.) 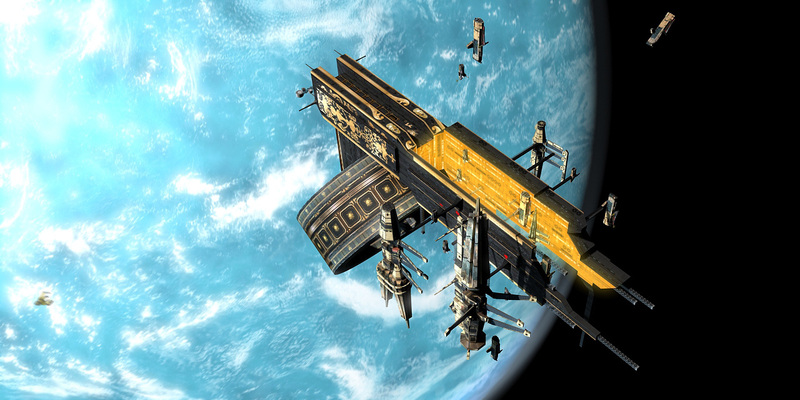 Fleets are generated by Merchants that are at these hubs, and usually it takes 15 Merchants to create a trade fleet. While a trade fleet is active, these Merchants are not available for other trades. A viceroy of a planet determines what the needs of their planet are. This depends heavily on the current production of the planet, what the Focus of the planet is, and their Humanity, Intelligence, and Caution. Humanity determines how likely they are to take care of their people as opposed to their projects, and make sure that things like Food and Energy are well-taken care of. Intelligence lets the viceroy make better decisions about what is most beneficial for the planet, and Caution influences how much of a planet’s total budget for trade they are willing to use (Viceroys with low Caution will blow the budget out early in the year, while more Cautious Viceroys will ensure that there is a reserve throughout the year). Here’s an example of a planet determining their needs through an internal error log – note: you do not see this log as a player but we use it for balance and to make sure all the systems are working as they should! Viceroy Hiraniamalie Guerin on planet Iscandrania is calculating Importances…. Total Import Budget for this month is calculated at 20.5 based on a GPP of $52.0 less trade expenses this year of $0.0 and a percentage dedicated to trade of 45 %. Viceroy allocates $11.8 MCs towards basic imports this month. After allocations, there is 8.7 remaining this month to use for adjusting import bids, or if not used, to return to the yearly import budget. With a monthly shortfall of 0.4, 0.2 food units are requested from the viceroy this month. With a monthly shortfall of 0.2, 0.2 energy units are requested from the viceroy this month. With a monthly shortfall of 19.3, 44.1 basic units are requested from the viceroy this month. With a monthly shortfall of -7.1, 0.0 heavy units are requested from the viceroy this month. With a monthly shortfall of 5.8, 13.2 rare units are requested from the viceroy this month. New Trade Request generated! Taking export budget into account, Iscandrania requests 13.33 units of Basic at a max price per unit of 0.9. So let’s see what happened here. First, the viceroy determined the importance of each trade good for that month, up to a 100 point scale (100 is critical; 0 means no need ACCORDING TO THE VICEROY!) In this case, since the viceroy has a low Empathy, they are not prioritizing food and energy, even though there are small shortfalls in those areas. They are prioritizing basic materials (the materials from which everything in the game is built from and maintained) and requesting 44.1 basic units to build a surplus IF POSSIBLE. Note that even though there is a shortfall with rare units, the viceroy is not prioritizing them, either because there is a decent surplus or because they do not forsee a need to use rare materials due to the Focus on the planet, their plans, etc. Second, with the importances of the trade goods determined, the viceroy then proposes up to 3 trade proposals that are ‘broadcast’ throughout their SOI. In this example, the viceroy has allocated $11.8 BC (billion crowns) of their yearly trade budget, and because of their high Caution and reasonably high Intelligence has kept a reserve. They are asking for 13.33 units of basic materials and is willing to pay up to .9 BC per unit. Keep in mind that a ‘unit’ on this planetary scale is several thousand tons of materials (or several million kW of energy supplies, including oil, fissiles, battery power stored, etc.) Since even though there is a need for rare and heavy, the viceroy determined that the much greater need was for Basic. they did not allocate any money from the planet trade budget to buy anything but Basic. OK! So each planet goes through that calculation, and from there a galaxy-wide list of trade proposals are generated! 2. Now, it’s time for the trade hubs to ‘go shopping’ as such. They start to look through the trade proposals that are within their SOI and make 2 passes: first, to see if they have enough goods to actually fill the trade request, taking into account the importance of that good for their own planet, and the amount of their stockpile they are willing to part with (influenced by Gluttony and Caution traits). Here’s what that looks like for the empire trade hub, New Terra. Since it’s the imperial hub, it can reach most all planets, so it’s a long list for the viceroy to consider. Looking within NEO-SIRIUS TRADE GROUP…. Checking on valid trades for planet Iscandrania…. Trade request has been accepted and is now under review: 13 Basic units of basic for 0.9 MCs requested from New Terra to Iscandrania. Checking on valid trades for planet Dreamland…. Trade request has been accepted and is now under review: 1 Energy units of energy for 0.8 MCs requested from New Terra to Dreamland. Trade request has been accepted and is now under review: 0 Heavy units of heavy for 1.9 MCs requested from New Terra to Dreamland. Checking on valid trades for planet Falacer…. Trade request has been accepted and is now under review: 1 Basic units of basic for 2.9 MCs requested from New Terra to Falacer. Trade request has been accepted and is now under review: 1 Heavy units of heavy for 1.9 MCs requested from New Terra to Falacer. Trade request has been accepted and is now under review: 0 Rare units of rare for 3.9 MCs requested from New Terra to Falacer. Checking on valid trades for planet New Jove…. There are no active trade proposals on New Jove. Checking on valid trades for planet Huanxiang…. Trade request has been accepted and is now under review: 6 Energy units of energy for 0.8 MCs requested from New Terra to Huanxiang. Trade request has been accepted and is now under review: 2 Basic units of basic for 2.3 MCs requested from New Terra to Huanxiang. Checking on valid trades for planet Wuxiaci…. Trade request has been accepted and is now under review: 0 Rare units of rare for 3.9 MCs requested from New Terra to Wuxiaci. Checking on valid trades for planet Verdancy…. Trade request has been accepted and is now under review: 0 Basic units of basic for 2.4 MCs requested from New Terra to Verdancy. Trade request has been accepted and is now under review: 0 Heavy units of heavy for 1.2 MCs requested from New Terra to Verdancy. Checking on valid trades for planet Adawia…. There are no active trade proposals on Adawia. Checking on valid trades for planet New Ceres…. There are no active trade proposals on New Ceres. Checking on valid trades for planet Orcus…. Trade request has been accepted and is now under review: 3 Basic units of basic for 2.0 MCs requested from New Terra to Orcus. Trade request has been accepted and is now under review: 1 Heavy units of heavy for 1.7 MCs requested from New Terra to Orcus. Checking on valid trades for planet Conlong…. Trade request has been accepted and is now under review: 1 Basic units of basic for 2.3 MCs requested from New Terra to Conlong. Trade request has been accepted and is now under review: 0 Heavy units of heavy for 1.3 MCs requested from New Terra to Conlong. Hooray! Since New Terra has a s*itload of Basic in stockpile, they have put the proposal in their ‘shopping cart’, so to speak. This only means that they are willing to part with the resources. At this point, no analysis has been done regarding profitability, or whether they want to trade with that viceroy (their Houses are enemies, they personally hate each other, etc). That comes next. Trade hub New Terra’s viceroy will not consider trades with less than $1.1 MCs per trade. Viceroy is considering trade with Iscandrania for Basic. The current profit per unit based on prices and energy needed for the trip is 0.6 MCs, with total profit of 7.8. …. After careful consideration, this trade is provisionally accepted, pending sufficient fleet availability! Final cost of trade, including fuel and shipping: $25.1. Total expected profit: $7.8. Viceroy is considering trade with Dreamland for Energy. The current profit per unit based on prices and energy needed for the trip is 0.5 MCs, with total profit of 0.4. Viceroy is considering trade with Dreamland for Heavy. The current profit per unit based on prices and energy needed for the trip is 1.2 MCs, with total profit of 0.2. Viceroy is considering trade with Falacer for Basic. The current profit per unit based on prices and energy needed for the trip is 2.2 MCs, with total profit of 2.1. …. After careful consideration, this trade is provisionally accepted, pending sufficient fleet availability! Final cost of trade, including fuel and shipping: $3.7. Total expected profit: $2.1. Viceroy is considering trade with Falacer for Heavy. The current profit per unit based on prices and energy needed for the trip is 0.8 MCs, with total profit of 0.6. Viceroy is considering trade with Falacer for Rare. The current profit per unit based on prices and energy needed for the trip is 2.2 MCs, with total profit of 0.3. Viceroy is considering trade with Huanxiang for Energy. The current profit per unit based on prices and energy needed for the trip is 0.1 MCs, with total profit of 0.6. Viceroy is considering trade with Huanxiang for Basic. The current profit per unit based on prices and energy needed for the trip is 1.6 MCs, with total profit of 3.4. …. After careful consideration, this trade is provisionally accepted, pending sufficient fleet availability! Final cost of trade, including fuel and shipping: $7.3. Total expected profit: $3.4. Viceroy is considering trade with Wuxiaci for Rare. The current profit per unit based on prices and energy needed for the trip is 1.6 MCs, with total profit of 0.6. Viceroy is considering trade with Verdancy for Basic. The current profit per unit based on prices and energy needed for the trip is 1.0 MCs, with total profit of 0.1. Viceroy is considering trade with Verdancy for Heavy. The current profit per unit based on prices and energy needed for the trip is 0.0 MCs, with total profit of 0.0. Viceroy is considering trade with Orcus for Basic. The current profit per unit based on prices and energy needed for the trip is 0.9 MCs, with total profit of 2.9. …. After careful consideration, this trade is provisionally accepted, pending sufficient fleet availability! Final cost of trade, including fuel and shipping: $10.2. Total expected profit: $2.9. Viceroy is considering trade with Orcus for Heavy. The current profit per unit based on prices and energy needed for the trip is 0.3 MCs, with total profit of 0.4. Viceroy is considering trade with Conlong for Basic. The current profit per unit based on prices and energy needed for the trip is 1.2 MCs, with total profit of 0.8. Viceroy is considering trade with Conlong for Heavy. The current profit per unit based on prices and energy needed for the trip is 0.0 MCs, with total profit of 0.0. So what does this mean? First of all, the viceroy of New Terra has a negative Gluttony score, meaning that they are not very greedy, and aren’t looking for a huge profit margin. They have a 0 trade aptitude, meaning that they have no special skills in trade that will increase profit per trade (or decrease it), and they have a decently high Humanity, meaning that they will be more likely to accept lower-profit trades, especially on food and energy. So in Iscandrania’s case, they will be making enough from the trip even though it is a longer-based trip to make it worth the expense of merchants, fleets, and energy (remember that it costs the sending hub Energy to create a fleet, and the longer the trip, the more energy it costs – and energy ain’t free) So they have accepted the trade request, will be charging a total of $25.1 BC to ship 13 units of Basic. This will generate a profit of $7.8 BCs after paying for the energy for the trip, as well as the cost of the basic supplies themselves. Note that the viceroy likes some trades, but not others, so it’s worth going through the trades that were denied to see their ‘thinking’. Almost there! Now since there are enough fleets for the Imperial trade hub to send all this stuff, this example is done, but if there’s not enough fleets for all the accepted trades, there is one final step. 4. So let’s say there’s 5 trades that the viceroy likes, but they only have 3 available trade fleets! Bummer! So now hard choices have to be made. Generally, the most profitable trades will win out, but sometimes a high Empathy viceroy will green-light a trade for food or energy at less profit. So that’s trade in a nutshell! This system still needs to be balanced a lot along with the general economic model, but hopefully it will answer some questions about how trade works. If you have other questions, please ask in a comment and I’d be happy to answer them! I will also post a video soon with this information in video form, for a more visual representation. Thanks for your time! Previous post: Update, apology, explanations, and the rebirth of AotSS! Next post: Developer Diary #2 – Economic System: Retail, aka Buy! Buy! Buy!